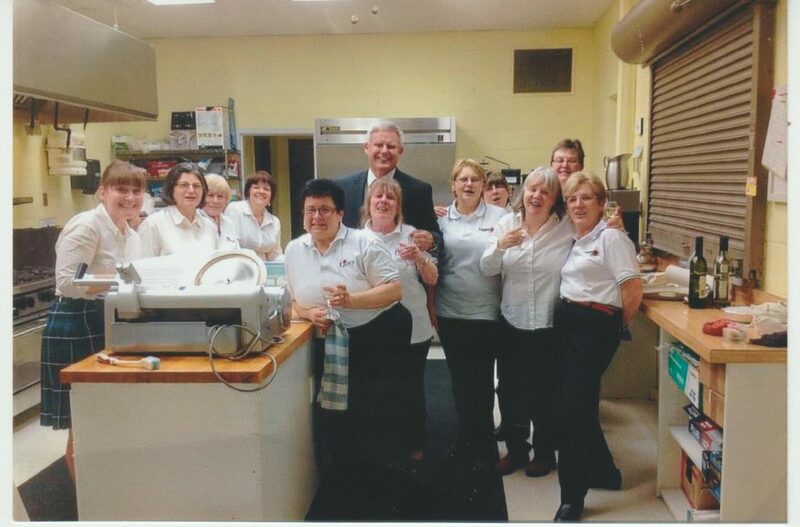 The Royal Canadian Legion Branch #63 has three rooms where your Special Day can be celebrated and the Ladies Auxiliary would be happy to be your Caterer. We have up-to-date, excellent kitchen facilities to prepare your Dinner or Luncheon. There are a variety of Catering options to choose from and we would be pleased to discuss other requests or suggestions! Luncheon – mixed sandwiches, pickles, squares, tea and coffee . Salads may also be added to your luncheon or buffet! Salads – garden, caesar, coleslaw, pasta (buffet), potato salad . Desserts – fruit & cream pies, carrot cake, cheesecake, fruit bowl.